Here’s what’s up in the world of TV for Monday, May 8. All times are Eastern. 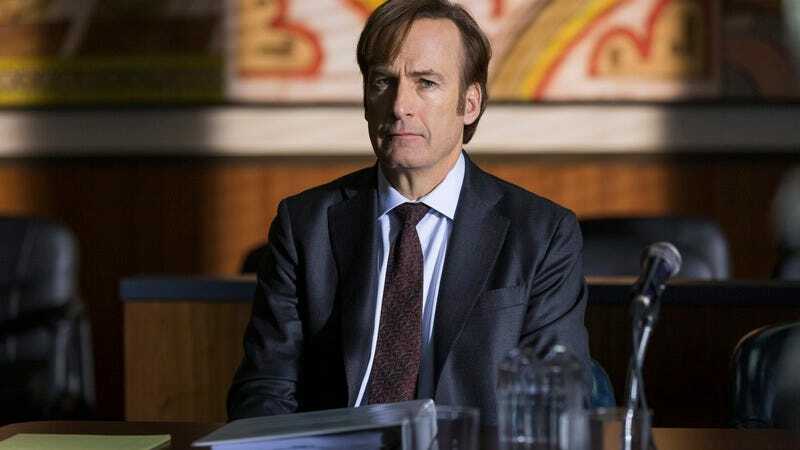 Better Call Saul (AMC, 10 p.m.): Chuck and Jimmy will hash things out for “Chicanery,” which promises courtroom pyrotechnics and sibling rivalry. Kim might be the ace up Jimmy’s sleeve, though. As usual, the honorable Donna Bowman will preside over the legal shenanigans. On Story: A Conversation With Marta Kauffman (PBS, 9:30 p.m.): At times like these, you need your Friends—or maybe just the series co-creator, Marta Kauffman. The veteran producer actually joins On Story to talk about season three of Grace And Frankie, but the septuagenarians’ bond has grown even stronger than that of the Central Perk crew, so you’ll still feel supported.